As the ground thaws, kids that have been cooped up inside all winter take to their backyard swing sets, jungle gyms, or local public playgrounds for some outdoor entertainment. But, playgrounds aren't always fun and games. Each year in the United States, more than 200,000 children ages 14 and younger end up in emergency rooms with playground-related injuries. Where are the Dangerous Playgrounds? Children are far more likely to sustain a non-life threatening injury on playground equipment at a public place, like a school, a daycare center, or a local community play area. Roughly 75% of all nonfatal injuries related to playground equipment occur on public playgrounds. Although only one fourth of these injuries occur on home playgrounds, that backyard swing set is still risky, especially if children are playing unsupervised. Kids on public playgrounds are likely under the watchful gaze of multiple parents and can get help if necessary, which isn't always the case for children with home jungle gyms. Nearly 200 deaths happen each year from playground-related injuries, and over 70% of these fatalities occur on home playgrounds. On public playgrounds, more injuries are caused by climbers than on any other type of equipment. About 60% of the injuries from these climbers occur on various configurations of overhead "horizontal ladders." Public playground equipment typically reaches much taller heights than the equipment you would find in your backyard. This is potentially why 79% of injuries in public play spaces involve falls from dangerous heights. Falling on a playground is much more likely to cause injury if the area lacks protective surfacing underneath the equipment. Protective surfacing can consist of bark mulch, wood chips, or any other shock-absorbing material. 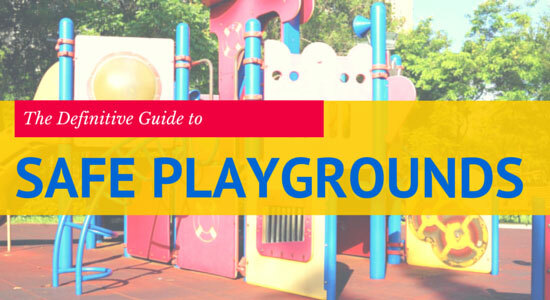 Avoid playground equipment in an area surrounded by concrete or blacktop. Notify the owner of a public playground if you notice an area without any sort of shock-absorbing material. On home playgrounds, swings cause the most injuries, particularly homemade tire and rope swings. Homemade swings can seem fun, but are rarely constructed in accordance with building codes, which is why they cause so many injuries. Leave the swing-making to the professional swing set manufacturers. Always supervise children outside playing in the yard, especially if they are swinging. Although smaller kids may want to copy their older siblings, don't allow small children to use the same swings as older kids. Very small children should use swings specifically designed for them that provide more security and hold them in place. Do some post-winter playground maintenance before letting children back on the backyard jungle gym this spring. Over the winter, equipment could have rusted, which could make the entire apparatus structurally unsound, and rust creates the potential danger for cuts and infections. Screws and bolts also may need to be tightened after a long winter. 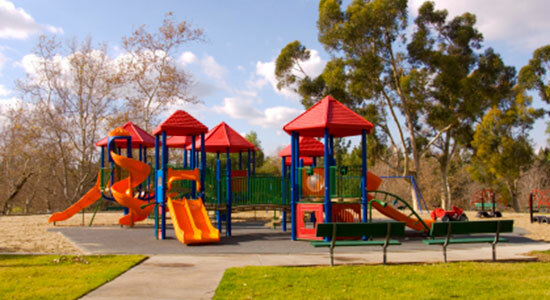 Protecting your children is one of your greatest responsibilities as a parent or caregiver, but sometimes accidents occur because of defective or improperly maintained playground equipment. If your child was seriously injured due to defective or improperly maintained playground equipment, you may have a case. Our experienced attorneys and legal staff are ready to help you and your family through this trying time. Sources: “Playground Injuries: Fact Sheet.” CDC.gov. March 26, 2015.